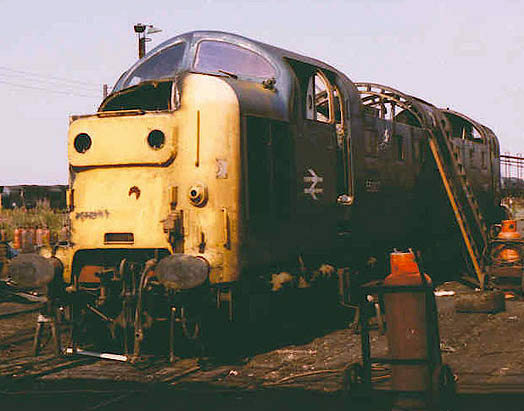 3174 - Photo: Nigel Petre Collection. 0538 - Photo: Nigel Rollings. 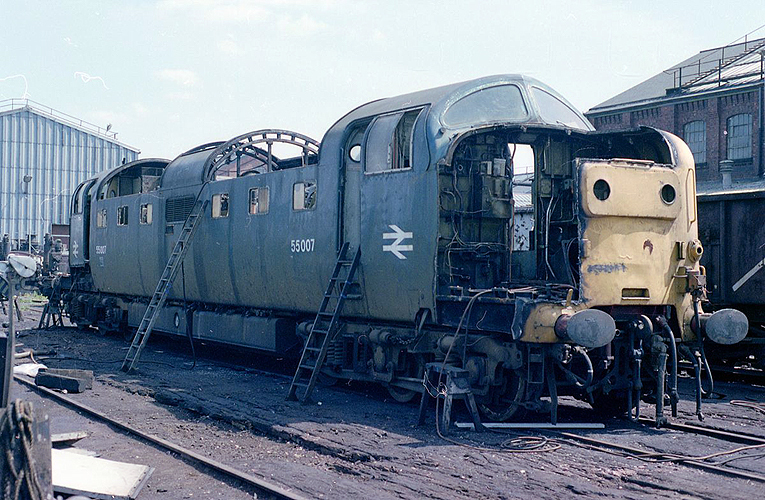 ...55007 (D9007) "PINZA" is seen as cutting continues at Doncaster Works on the 18th July 1982.